My little Smootch is very much a craft fiend. In four short years, she's gone through enough glue sticks, ribbon, construction paper, and felt pens to fill a dump truck. She could write her name in glitter glue before she could ride a tricycle. She could use scissors before she could brush her own teeth. Smootch's other great love is her baby brother. As much as she mauls him, boinks his head, and accidently bends his wrist into impossible positions when she trys to hug him (love hurts), the little guy is always smiling up at her. They've already formed a power bloc against me. 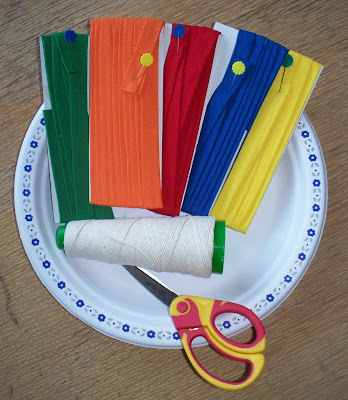 To begin, gather up your young person and some supplies: colourful ribbon (or bias tape as I've used here), household string, scissors, and a paper plate. Punch about 6 holes at equal intervals around the edge of the paper plate. Cut a length of string about 30" long. Tie one end of the string to a hole in the paper plate's edge. Make a loop in the other end of the string. Cut a length of ribbon about 8" long. 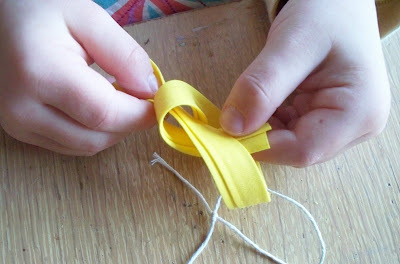 Tie the ribbon to the end loop, in a bow or just a simple knot. Repeat for all the holes in the paper plate. 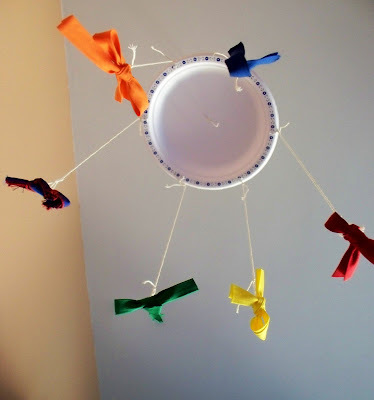 To hang, push a hole through the middle of the plate and push the end of the string through. 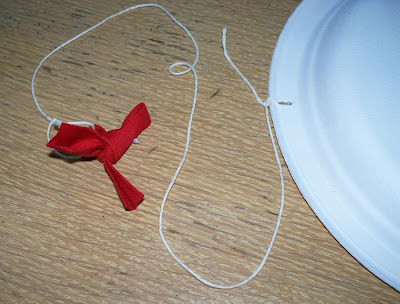 Tie a knot to stop the string from pulling out. Hang from ceiling with tack or tape. Enjoy watching baby dance along when you give the mobile a gentle spin. I do a lot of these little crafts with Smootch. 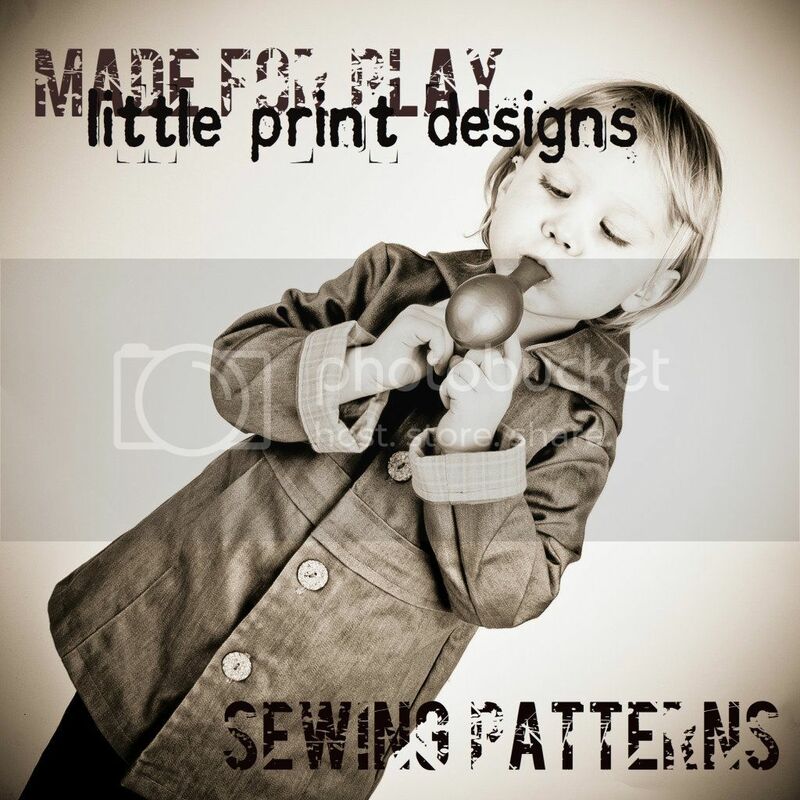 Would you like more crafting with kids ideas? That's fantastic and so simple! Yes, I'd love more kids craft ideas. Yes, please, more kiddo crafts! I love it! Yes, more kids' stuff, too, please! Love it! Yes more please!!! 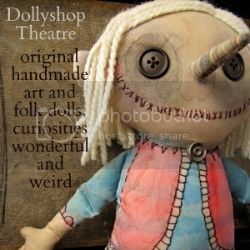 I just discovered your blog, and I LOVE it, so many great ideas! 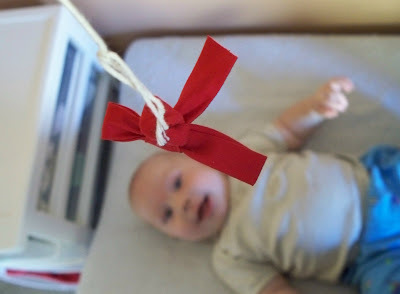 This mobile is great, and I'm going to give it a go with my daughter for her new baby cousin. Thanks. Yes please! My three-year-old has Leukemia and we could really use some additional ideas to craft during the long (and boring) Clinic days. and yeas please, do show us more! Awww, this is such a sweet idea. 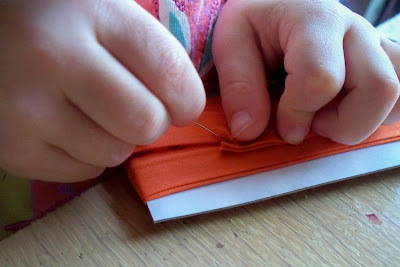 Kids crafts are awesome- thanks for the posts!